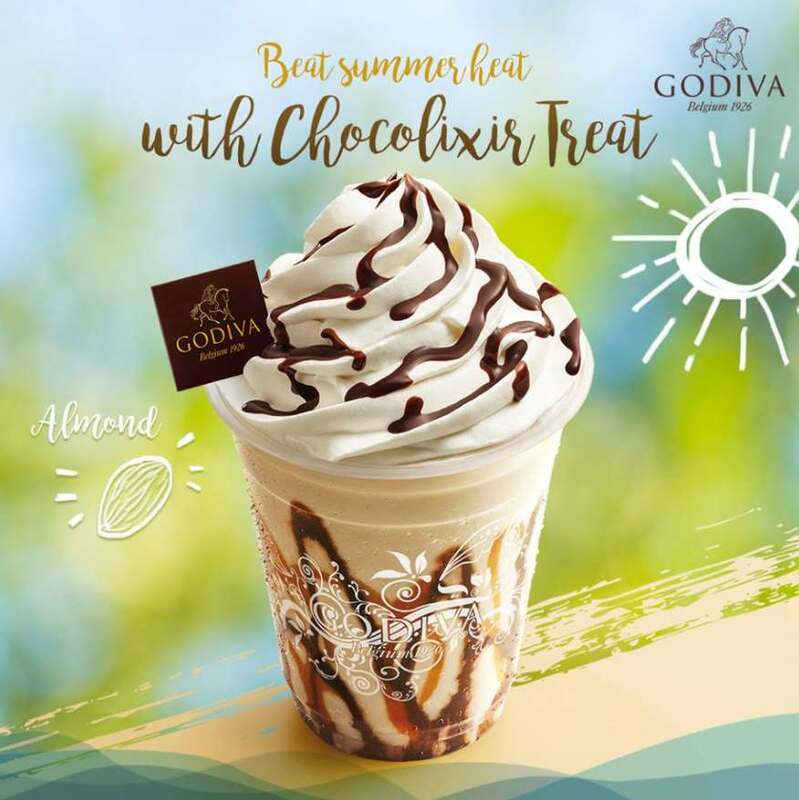 The upgraded icy-cold Chocolixir drink from GODIVA turns summer heat wave into a sweet whirlwind of joy! This summer, GODIVA ups its choco-dulgence with 4 exciting new flavours on top of the original 72% Dark Chocolate, 50% Dark Chocolate, Milk Chocolate and Mint Dark Chocolate flavours. The 4 refreshing new summer tastes to die for are fruity Blueberry White Chocolate, zesty Lemon White Chocolate, nutty Almond Flavour White Chocolate, and the unapologetically Belgian Speculoos Flavour White Chocolate. And what batter way to turn up the joy volumn than enjoying the sinful drink with your favourite GODIVA chocolate? Yes we are pairing each Chocolixir drink with a piece of premium GODIVA chocolate of your choice presented in an exquisite gift box to complete the purely indulgent experience! Be part of our “Joy of Summer” game and win a GODIVA coupon for 50% off upon puchase of your second Chocolixir to take the cool sensation up a level. Coupons are offered in limited quantities while stock lasts. Join us now before the cool treats are gone. Find out more at Godiva Chocolatier Asia.